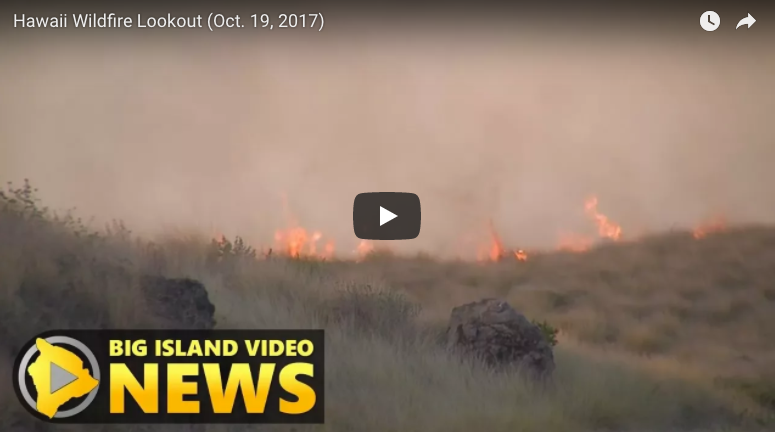 Big Island Video News screen capture from October 19, 2017 video. Courtesy of the 40+ partners including HWMO issuing a "Wildfire LOOKOUT!" advisory. "State officials are warning that Hawai‘i fire danger is currently high across the state and will remain so until normal winter precipitation sets in.